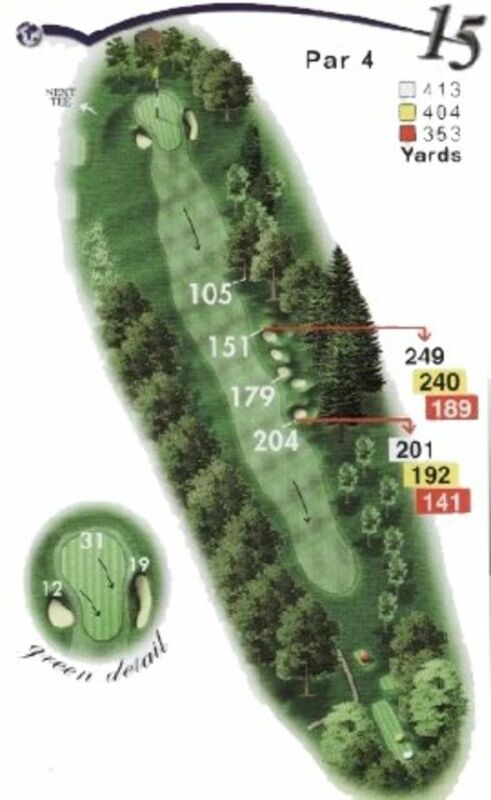 A tee shot up the right may leave you blocked out by the trees on your approach. A deceptively slopey green. Missing the green left will leave you with a treacherous downhill chip.